The idea to create a new forest for the nation came about in the late 1980s: a visionary project bringing the benefits of multi-purpose forestry to where people live and work. 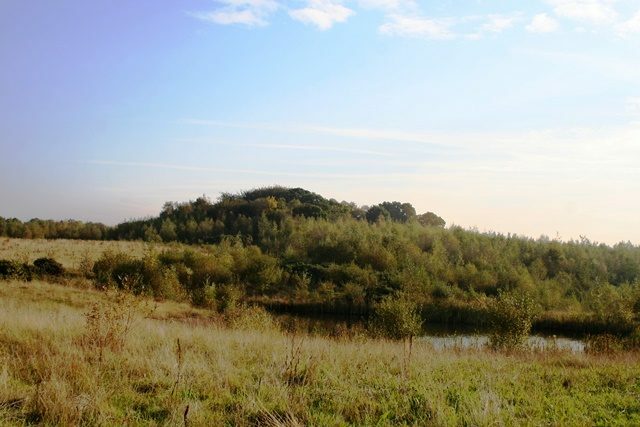 An area of 200 square miles covering parts of Derbyshire, Leicestershire and Staffordshire was chosen as the location for The National Forest, due to its history of industrial decline and the opportunities that this represented for environmental, economic and social regeneration. When the Forest started to take shape in the early 1990s, woodland cover throughout the whole 200 square miles was a meagre 6%. More than eight and a half million trees later, forest cover has now reached over 20%. In the Heart of the Forest, the focus for the Black to Green project, the transformation has been even more spectacular, from 1% to 27%! The National Forest Company continues to lead the creation and development of the Forest, through a combination of partnership development, grants to landowners and community liaison, and the eventual aim is to achieve around one third forest cover throughout the whole forest area. The National Forest celebrates its 25th anniversary in 2016 and continues to pioneer environmentally-led regeneration, transforming lives through the planting of trees. The success of the Forest has brought opportunities for research into climate change, flood prevention and tree pests and diseases. Programmes are being developed to bring the benefits of outdoor education to every child in the Forest, and to maximise opportunities for health and well-being for Forest residents and visitors. Through the transformation of the landscape, communities and the economy, the goal is to establish a sustainable Forest economy that will secure this extra-ordinary place well into the future.